Saudi Arabia’s lifting of a ban on women’s driving raises a host of questions that transcend the issue of women’s rights and go to the core of the standing of the kingdom’s religious scholars and its impact on conservative opposition to Crown Prince Mohammed bin Salman’s economic and social reforms. There is little doubt that the scholars’ endorsement of the lifting of the ban amounted to the latest of a series of incidents in which Prince Mohammed imposed his will on scholars who long successfully opposed liberalization of religious and social codes based on the teachings of the 18th century ultra-conservative preacher Mohammed ibn Abdul al-Wahhab as well as Bedouin culture. Adding insult to injury, Saudi Arabia’s Shura or Advisory Council voted days after the lifting of the ban to allow women to issue fatwas or religious opinions, long a preserve of male Islamic scholars, for the first time. Islamic scholars, many of whom enjoy celebrity status on social media, derived their ability to enforce ultra-conservative norms, including the ban on women’s driving, from a power sharing agreement concluded between the ruling Al Saud family and Ibn Abdul Wahhab’s followers that dates back to the founding of modern day Saudi Arabia. It’s unlikely that the scholars who consistently maintained that women lacked the intelligence to drive and that driving would damage their ovaries, deprive them of their virginity and integrity, and promote immoral behaviour had a sudden, recent epiphany that convinced them that their decades-old beliefs were wrong even if those were falsely packaged as rooted in religion. That long-standing ultra-conservative values are alive and kicking among prominent scholars was evident when they felt confident enough earlier this year to voice opposition to Prince Mohammed’s loosening of social codes with the introduction of various forms of entertainment in a country in which cinemas and public concerts were banned. 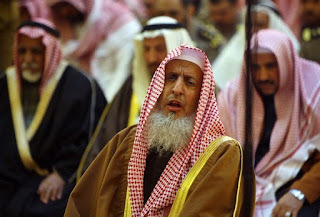 Now a supporter of women’s driving, Saudi Arabia's grand mufti, Sheikh Abdul Aziz al-Sheikh, warned in January that concerts and cinemas were harmful and cause immorality. Sheikh Abdullah al-Mutlaq, another member of the Council of Senior Scholars that endorsed lifting of the driving ban, called for a referendum, asserting that a majority of Saudis opposed concerts. Other scholars targeted performers as well as, in lieu attacking the ruling family head-on, the entertainment authority established by Prince Mohammed to create an industry. This time round Prince Mohammed made sure the ultra-conservatives would hold their fire by arresting in recent weeks scores of scholars, judges and intellectuals, whose views run the gamut from ultra-conservative to liberal. Among those arrested were scholars Salman al-Odah, Aaidh al-Qarni and Ali al-Omari, poet Ziyad bin Naheet and economist Essam al-Zamil, some of whom have more than 17 million followers on Twitter. The detentions were also designed to silence alleged support in the kingdom for an end to the almost four-month old Gulf crisis that has pitted Saudi Arabia and its allies against Qatar and mounting criticism of the conduct of the kingdom’s ill-fated, 2.5-year old war in Yemen. Saudi Arabia this week lost its battle to prevent an independent United Nations investigation into abuses of human rights in Yemen by both the kingdom and Houthi rebels. “It is hard to envisage MBS succeeding in his ambitious plans by royal decree. He needs to garner more consent. To obtain it, he must learn to tolerate debate and disagreement,” quipped The Economist, referring to Prince Mohammed by his initials. The arrests potentially could backfire. Those behind bars are likely to see their credibility rise while those that bent over backwards to accommodate the regime may find it increasingly difficult to justify their about-face to the more conservative segments of Saudi society. To ensure continued buy-in into his reforms by Saudi youth, who account for more than half of the population, and counter opposition, Prince Mohammed has to both manage expectations, something he has yet to do, and start delivering on promises. The lifting of the driving ban and scores of entertainment events deliver on social aspects, but equally important will be yet-to be achieved delivery on jobs, opportunities and career paths for Saudi youth. That is proving easier said than done as Saudis feel the cost of the prince’s unilateral rewriting of the kingdom’s social contract that promised a cradle-to-grave welfare state in exchange for surrender of political rights and acceptance of ultra-conservative moral and social codes. Prince Mohammed was forced to re institute perks that were cancelled as part of an austerity program that saw prices, particularly of utilities, skyrocket. The crown prince’s hopes for a $2 trillion evaluation of national oil company Aramco with the sale of a five percent stake in an initial public offering (IPO) expected next year has been called into question by potential investors who note that scrutiny could call the oil giant’s estimates of the kingdom’s oil reserves and security record into question. Compounding the prince’s problems is the question whether and at what point the ultra-conservative religious establishment may feel that the cost of remaining silent or supporting reforms may be higher than the cost of standing against him. That decision could be influenced by the scholars’ ability to forge alliances with members of the ruling family reportedly opposed to Prince Mohammed. Similarly, much will depend on the degree to which Prince Mohammed delivers on the expectations he has raised among an important segment of Saudi youth that aspires to jobs with career paths and a degree of social liberalization. Despite an increasing number of entertainment opportunities and the lifting of the driving ban, Prince Mohammed has yet to manage the gap between unrealistic expectations and the timeframe within which he might be able to deliver on key economic aspects of his Vision 2030 reform program. Saudi attitudes towards change are in Mr. Al Lily’s view stand-offish. “People don’t believe in change... The government doesn’t have a plan to sell Vision 2030. In addition, it has at least partially been drafted by foreigners. All of this is important. Implementing it will not be easy,” Mr. Al Lily said. Stick to Sports? No Thanks. Another week of sports headlines off the field begins as Adam Zagoria from ZagsBlog.com joins the show to talk the latest in the FBI investigation of corruption and bribery in college basketball. Then, Christian breaks down the most recent moves in the NBA, including Carmelo Anthony's trade with Tommy Dee of TheKnicksBlog.com. Finally, the world of sports and politics collide as Christian is joined by James Dorsey of International Policy Digest who explains this is nothing new. Below is a link to the podcast. I appear around the 40 minute mark. The silver-lining in the launderette owner’s controversial move is the fact that it sparked debate about discrimination in Malaysia. Malaysian opposition member of parliament Teo Nie Ching announced that she was considering introducing legislation to strengthen anti-discrimination in the country’s legal code. It was not immediately clear whether she would tackle Malaysia’s banning of the use of the word Allah by Christians and repression of the country's miniscule Shiite community in any proposed legislation. Similarly, a decision by religious authorities in the Malaysian state of Kelantan to recommend counselling and impose a fine on a Muslim man for wearing shorts in public triggered fierce debate on social media. "Slowly, those educated in religious education in Middle East is trying to turn Malaysia into Taliban country,” said John Brian Anthony on Facebook. In an indication of the risks of ingrained discrimination and racism, Malaysian authorities this week arrested an Indonesian supporter of IS who was on his way to Myanmar to support the Rohingya by attacking Myanmar targets. "Women should obviously have had the right to drive a long time ago -? the fact that this decision was so long in coming shows just how much has changed in Saudi Arabia with Prince Mohammed now wielding executive authority," said Perry Cammack, a fellow at the Carnegie Endowment for International Peace. 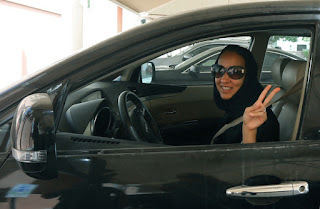 Saudi Arabia’s long-awaited lifting of a ban on women’s driving, widely viewed as a symbol of Saudi misogyny, will likely serve as a litmus test for Crown Prince Mohammed bin Salman’s ability to introduce economic and social reforms despite conservative opposition. It also distracts attention from international criticism of the kingdom’s war in Yemen and charges by human rights groups as well as some Muslim leaders that the kingdom is fostering sectarianism and prejudice against non-Muslims. If last week’s national day celebrations in which women were for the first time allowed to enter a stadium is anything to go by, opposition is likely to be limited to protests on social media. To be sure, thousands welcomed the move as well as the lifting of the ban and Saudi media reported that senior Islamic scholars, who for decades opposed expanding women’s rights and some of whom criticized Prince Mohammed’s effort to expand entertainment opportunities in the kingdom, said that they saw no religious objection to women’s driving. Conservatives made their rejection of enhancing women’s rights in response to the national day celebrations. "Patriotism does not mean sin. Of course, what is happening does not please God and his prophet. Patriotism is not dancing, free mixing, losing decency and playing music. What strange times," said one critic on Twitter. A video of a man telling celebrating crowds that they have “no shame, no religion, no tribe" was widely shared on social media. Hundreds of thousands used an Arabic hashtag demanding the restoration of powers to the kingdom’s religious police, whose ability to strictly enforce ultra-conservative Sunni Muslim moral codes was curbed last year. A 24-year-old, speaking earlier this year to The Guardian, noted that ultra-conservatism maintains a hold on significant numbers of young people. “You know that the top 11 Twitter handles here are Salafi clerics, right? We are talking more than 20 million people who hang on their every word. They will not accept this sort of change. Never,” the youth said. Talal Salama, a Saudi singer, was attacked on social media this week for singing a text from the Qur’an during the national day celebrations. “The disaster is not just that he is sitting singing the Quran, the disaster is that it was a party approved by the government that is allowing him to sing, said lawyer Musleh al-‘Udayni on Twitter. In advance of the lifting of the ban, Saudi authorities banned Saad al-Hijri, head of fatwas (religious legal opinions) in the Asir governorate, from preaching for declaring that women should not drive because their brains shrink to a quarter the size of a man’s when they go shopping. The suspension was the latest measure in a crackdown in which scores of Islamic scholars, including some of the kingdom’s most popular ones, judges and intellectuals, were arrested. The arrested were likely to ensure that conservative opposition to the lifting of the ban would be muted. The kingdom’s decision to delay implementation of the decision until June next year gives the government time to neutralize opposition and serves as an indication of what it would take to ensure Saudi women’s rights. To implement the decision, Saudi Arabia has to first eliminate bureaucratic, legal and social hurdles that prevent women from obtaining licenses, create facilities for women to learn how to drive, and train policemen to interact with female drivers in a country that enforces gender segregation and in which men largely interact only with female relatives. The lifting of the ban is part of Prince Mohammed’s Vision 2030 plan that seeks to diversify and streamline the economy and introduce limited social reform but avoid political liberalization. With women accounting for half of the Saudi population and more than half of its university graduates, Vision 2030 indicates the limits on granting women’s rights by envisioning that women will account for only 30 percent of a reformed kingdom’s workforce. While the lifting of the ban in a decree by King Salman allows women to apply for a license without the permission of their male guardian, the principle of male guardianship that subjects women to the will of their menfolk remains in place. There is, moreover, for example, no indication that last week’s use of a stadium as a test case, will lead to a lifting of restrictions on women’s sporting rights, including free access to attend men’s competitions and the ability to practice and compete in a majority of sports disciplines that are not mentioned in the Qur’an. The public relations value of the lifting of the ban was evident in the fact that it temporarily drew attention away from news that reflected badly on the kingdom, including mounting international criticism of Saudi conduct of its war in Yemen, that has pushed the country to the edge of the abyss. Saudi Arabia has desperately been seeking to avert censorship by the United Nations and defeat calls for an independent investigation. It also put on the news backburner, a 62-page report by Human Rights Watch that, despite the banning of Mr. Al-Hijri, documented that that Saudi Arabia has permitted government-appointed religious scholars and clerics to refer to religious minorities in derogatory terms or demonize them in official documents and religious rulings that influence government decision-making.” Anti-Shia, anti-Sufi, anti-Christian and anti-Jewish sentiment was evident in the Saudi education system and in the judiciary, the report published on Tuesday said. Saudi Arabia adheres to a puritan interpretation of Islam that views Shiite Muslims as heretics and advocates avoidance by Muslims of non-Muslims. The kingdom has spent an estimated $100 billion in the last four decades to propagate its austere vision of Islam in a bid to establish itself as the leader of the Muslim world and to counter the revolutionary appeal of Iran following the 1979 Islamic revolution that toppled a monarch and an icon of US influence in the Middle East. In doing so, it has contributed to Muslim societies like Malaysia and Indonesia becoming more conservative and intolerant towards minorities. 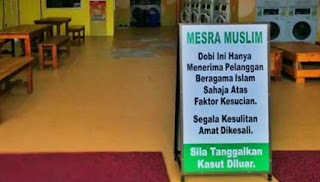 Saudi ultra-conservative influence was visible earlier this week when an owner of a self-service launderette in the Malaysian state of Johor banned non-Muslims from using his services. “Saudi Arabia has relentlessly promoted a reform narrative in recent years, yet it allows government-affiliated clerics and textbooks to openly demonize religious minorities such as Shia. This hate speech prolongs the systematic discrimination against the Shia minority and – at its worst – is employed by violent groups who attack them,” said Sarah Leah Whitson, Middle East director at Human Rights Watch. The owner of a self-service laundrette in the historic town of Muar in the Malaysian state of Johor likely had little inkling of the hornet’s nest he would stir up by putting up a sign barring non-Muslim from using his services. Yet, the sign that went viral on social media reignited debate about the nature of Islam and Malaysian culture in a country struggling with creeping Sunni Muslim ultra-conservatism. By implication, the owner, who declined to be identified, adopted in justifying his decision concepts of puritan interpretations of Islam inspired by Wahhabism and Salafism, understandings of the faith propagated by Saudi Arabia. “For Muslim customers only. Leave your shoes outside,” read the sign in front of the launderette. “If we look at the issue from an Islamic perspective, cleanliness is very important to us and something we must strive for at all times. There are other laundrettes available nearby. So, it wouldn’t be a problem for non-Muslims if they needed to find another place to wash their clothes,” the operator, who denied being a racist, said. Mixed responses to the launderette owner’s decision, particularly in Johor, a state whose sovereigns have been in the forefront of voicing opposition to Saudi-inspired ultra-conservatism, laid bare deep divisions in Malaysian society that inform policy at both the federal and local level. Eager to burnish its Muslim credentials, Malaysia has been together with Bangladesh and Turkey in the vanguard of those coming to the defense of Rohingya Muslims forced to flee Myanmar. An estimated 430,000 Rohingya have fled to Bangladesh in recent weeks. In a rare show of disagreement among members of the 10-nation Association of Southeast Asian Nations (ASEAN), Malaysia this week disassociated itself from a measured statement on the Rohingya crisis because it did not identify the Rohingya by name and constituted a "misrepresentation of the reality of the situation." Malaysia had wanted the statement to be more condemnatory of Myanmar operations against the Rohingya in Rakhine State. Islamic militants, ultra-conservatives and political leaders eager to capitalize on an issue that evokes deep-seated emotions in the Muslim world have led the charge against Myanmar. While political leaders like Malaysian Prime Minister Najib Razak and Turkish Prime Minister Recep Tayyip Erdogan have condemned Myanmar, Islamic militants have called for the dispatch of fighters to Rakhine State to defend the Rohingya. Malaysia, in a further gesture to conservatives, this week briefly detained Mustafa Akyol, a prominent Turkish journalist, intellectual, and author at Kuala Lumpur International Airport on suspicion of giving a lecture on Islam despite not having proper credentials. Mr. Akyol, who was released after a night in detention, had been invited to give a lecture at Nottingham University’s Kuala Lumpur campus on his recently published book, The Islamic Jesus: How the King of the Jews Became a Prophet of the Muslims. Malaysia, long viewed as a model of multiculturalism in a Muslim-majority state has increasingly adopted a harsher view of Islam highlighted by the banning of the use of the word Allah by Christians and repression of the country's miniscule Shiite community. Bilahari Kausikan, a former Singaporean diplomat and prominent intellectual, noted already two years ago a "significant and continuing narrowing of the political and social space for non-Muslims" in Malaysia. Mr. Kausikan blamed the emergence of a harsher interpretation of Islam on "Arab influences from the Middle East (that) have for several decades steadily‎ eroded the Malay variant of Islam...replacing it with a more austere and exclusive interpretation." Saudi Arabia has spent an estimated $100 billion in the last four decades to propagate its austere vision of Islam in a bid to establish itself as the leader of the Muslim world and to counter the revolutionary appeal of Iran following the 1979 Islamic revolution that toppled a monarch and an icon of US influence in the Middle East. In the latest manifestation of the influence of Saudi-inspired ultra-conservatism, religious authorities in Johor came to the defense of the laundrette owner. "If someone wants to do it, then it is a good thing because some Muslims hold doubts over laundromat services. It is better for Muslims to be free of such doubts when it comes to cleanliness as it will help Muslims fulfil religious obligations," said Johor Mufti Datuk Mohd Tahrir Samsudin. Johor Islamic Religious Affairs Committee chairman Abd Mutalip Abd Rahim added that “as Muslims who live in a multi-racial society, we cannot be too rigid in upholding such matters, but at the same time, should not belittle this effort taken by the operator of the laundromat either." Similarly, the prince’s straight-talking father didn’t mince words when he last year denounced Wahhabi and Salafi practices by calling on Malaysians to uphold their country’s culture and not imitate Arabs. The sultan decried what he described as creeping Arabization of the Malay language by insisting on using Malay language references to religious practices and Muslim holidays rather than Arabic ones. “If there are some of you who wish to be an Arab and practise Arab culture, and do not wish to follow our Malay customs and traditions, that is up to you. I also welcome you to live in Saudi Arabia. That is your right but I believe there are Malays who are proud of the Malay culture. At least I am real and not a hypocrite and the people of Johor know who their ruler is,” the sultan said. The sultan spoke out after his state’s public works department had put up a notice warning women that they would be hung by their hair in hell if they failed to cover up. 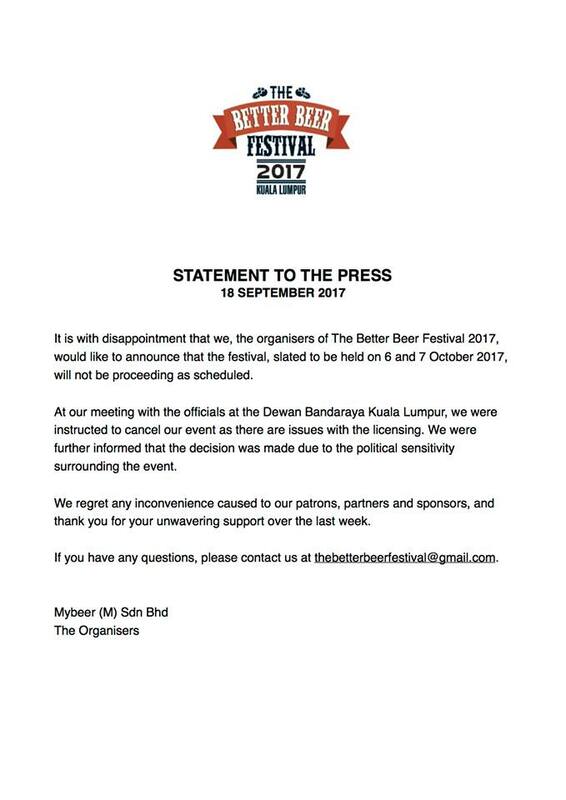 The notice, which also circulated on social media, was quickly taken down on the ruler’s orders. “Since when is JKR (the public works), whether at state or district level, being put in charge of religious matters? Their main job is to make sure the roads are properly maintained and not worry about women’s hair. It is not the business of government departments to worry about people’s dressing. Just do what you are paid to do and mind your own business,” Sultan Ibrahim said. Saudi Arabia's 85th birthday could prove to be historic -- one that could put to the test opposition to Crown Prince Mohammed bin Salman's reform plans, even if he has cracked down on potential critics in recent weeks. Saudi women, barred from stadia, are being allowed into Riyadh’s King Fahd International Stadium for the first time. Granted not to watch a soccer match from which they remain banned, but to attend national day celebrations. The move comes six weeks after Saudi Arabia announced that physical education for girls would for the first time be included in school curricula. To accommodate the kingdom’s strict gender segregation, sections of the stadium are being delineated into sections for men and for families, much like what happens in other public spaces. The notion that if women can attend national day celebrations, they can also watch soccer matches will strengthen the hand of long-time proponents like the head of the Saudi Arabian Football Association (SAFF), Ahmed Eid Al-Harbi, of a lifting of the ban. The move knocks down a psychological barrier even if it is primarily designed to project the kingdom in a more favourable light amid fierce criticism of its human rights record and conduct of the war in Yemen and to promote Crown Prince Mohammed bin Salman’s reform agenda of greater economic diversification and greater social freedom. Granting women access to the stadium also constitutes a testing of the waters. Prince Mohammed’s proposed reforms, articulated in his Vision 2030 plan, have largely been welcomed by Saudi youth, who account for more than 50 percent of the population, but criticized by religious hardliners. Prince Mohammed’s popularity rides on expectations that his reforms will produce jobs and loosen social restrictions that he has yet to fulfil. His reforms involve a unilateral rewriting of Saudi Arabia’s social contract that amounted to a cradle-to-grave welfare state in exchange for surrender of all political rights and acceptance of Wahhabism’s strict moral codes. Grumbling and online protests persuaded the government in April to roll back some of its austerity measures and restore most of the perks enjoyed by government employees. “The problem is that Vision 2030 has become synonymous with cutting salaries, taxing people and stop-ping beneﬁts,” said Mark C. Thompson, a Middle East scholar at King Fahd University of Petroleum and Minerals, who conducted a survey of young Saudi men. A crackdown in recent weeks on the prince’s potential critics, involving the arrest of scores of popular Islamic scholars, academics, intellectuals and judges, and the dismissal of university staff believed to support the Muslim Brotherhood, makes it easier for Prince Mohammed to test the waters. To maintain support for his agenda, which is as much designed to initiate badly needed economic and social change as it is intended to prevent any form of political liberalization, Prince Mohammed has in recent weeks employed two strategies: using soccer to boost his image in a football-crazy country, and building an entertainment industry in a kingdom in which concepts of fun were long frowned upon, if not banned. Sports is a key pillar of Vision 2030 as part of a bid to improve health in a country that has some of the world’s highest obesity and diabetes rates. In line with a long-standing practice of Arab autocrats to hitch their popularity to their country’s soccer success, Prince Mohammed earlier this month granted fans, men only, free access to the stadium to attend a World Cup qualifier against Japan. Prince Mohammed made sure that he was in the stadium to witness the national team’s success. The sensitivity involved in granting women access to the stadium for the national day celebrations became evident when a imam was criticized for describing Saudi Arabia’s defeat of Japan that paved the way for the kingdom’s participation in the 2018 World Cup as a blessing from God. Saudi Arabia has repeatedly in the last five tears floated the notion of granting women access to stadiums, only to drop the idea because of hard-line religious opposition. In bowing to pressure from the International Olympic Committee (IOC) to allow women to compete in Olympic games, the kingdom fielded women athletes for the first time in 2012. It has since said that women would only be allowed to compete in disciplines mentioned in the Qur’an. Saudi Arabia’s Shura or Advisory Council earlier this year rejected a proposal to establish sports colleges for women. In a bid to cater to aspirations of Saudi youth, the government announced that it was investing $2.7 billion in the creation of an entertainment industry in a country that bans cinemas and theatres. As part of the initiative, the government plans to build beach resorts, hotels and residential units on about 160 kilometres of sandy coastline on the Red Sea. It was not clear whether the region would adopt more liberal social codes on issues such as women’s dress. 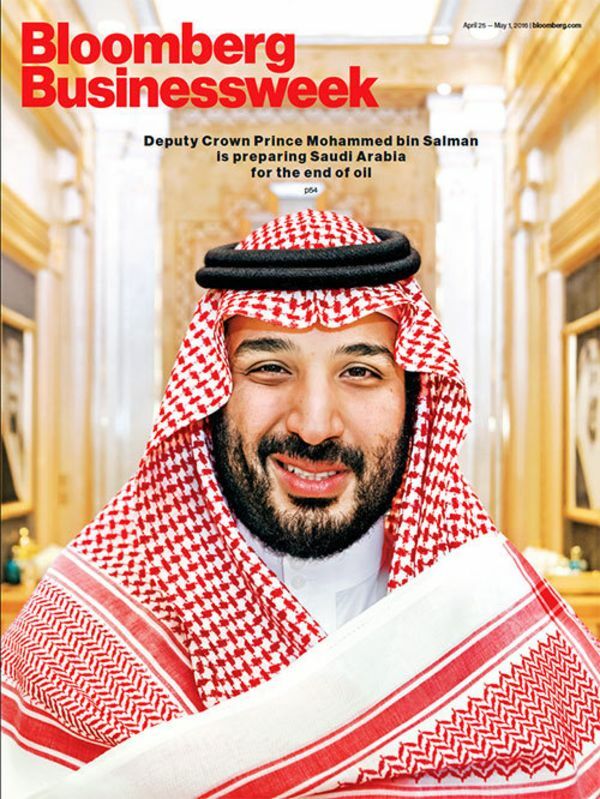 "By the end of 2030, the company's projects aim to serve more than 50 million visitors annually and create more than 22,000 jobs in the Kingdom, which will contribute around 8 billion Saudi Riyals ($2 billion) to the GDP," the state-owned Saudi Press Agency said. The kingdom’s religious establishment has repeatedly criticised Prince Mohammed’s social liberalization effort, including introduction of modern forms entertainment, but largely endorsed his economic plans. Prince Mohammed’s crackdown is likely to pre-empt any criticism of women entering the stadium for national day. That, however, simply pushes criticism out of the public eye. If anything, the crackdown suggests that Prince Mohammed feels less confident and reverts to Arab autocratic tradition: repress rather than engage.